I have skiing on the brain. Let’s just say that a week in the mountains will do that to you, especially when you’ve had some of the best snow conditions you can recall (2011 may have been better but that feels like ages ago and any skier can remember the season that wasn’t last year). It's mindless exercise, it burns tons of calories, and it counts as cross-training toward all the cycling and running I'm not doing because I'm skiing. But there's one problem: The 2012-2013 ski season is coming to close. 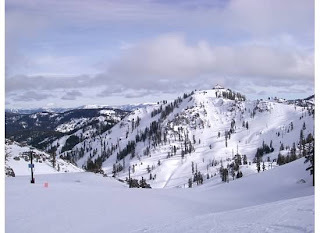 Some resorts have already closed, some are about to close this weekend (sob! ), and not too many will be open after April 21. How did April arrive so quickly? My only answer to that is time flies when you're having fun. Just because you're about to put the skis in storage for a few months, it doesn't mean thinking skiing comes to a halt, too. It means it's time to start thinking about next season, and what season pass to buy if you're like me and need as much time as you can manage in the mountains, hitting up the white stuff. Before you miss out on the best of the pass perks, here's a look at the season passes you might want to consider purchasing if you're a regular at ski resorts in Colorado, Montana, Utah and the Lake Tahoe region. Why buy it: Five days skiing Switzerland. Six buddy passes so your friends can save on their ski days. Seven ski resorts in Colorado and Lake Tahoe, plus Arapahoe Basin and Eldora (new in 2013-14) and next season the urban ski areas of Afton Alps in Minnesota and Mt. Brighton in Michigan. It's really tough to beat this Vail Resorts' deal, unless you're looking at some of the company's other pass options, like the Local Pass, that cost less but grant you plenty of mountain time at your favorite spots. But you have to lock in your pass purchase before this season ends to score this price and those buddy passes. Why buy it: If you're a skier who likes to explore, this pass is definitely for you. It's also good for any skiers who don't want to be bound to one resort (or family of resorts), one state or one expensive price to gain flexible days on the mountain. With the Mountain Collective, skiers get 12 ski days, two each at Alta/Snowbird, Aspen/Snowmass, Whistler Blackcomb, Jackson Hole, Squaw Valley and Alpine Meadows, and Mammoth Mountain. If you do the math, that's already a deal, but here's where it gets even sweeter. After you use those 2 days at a resort, all your additional days at that resort are 50 percent off (single day tickets). And you can save up to 25 percent at lodging properties at The Collective locations. Deadline for this price: Liftopia only offers the Mountain Collective in a limited batch, and as of early April, word has it that supply is dwindling. Why buy it: You want to ski throughout Colorado, not just in one or two spots that are merely a pass apart next winter. With this Rocky Mountain pass, skiers gain access to Winter Park and Copper Mountain as often as they'd like with no blackout dates. But here's where the plus comes in: Skiers also get six days at Steamboat, three days at Monarch and free skiing at Mt. Ruapehu in New Zealand. Hello skiing in July--and going down under. 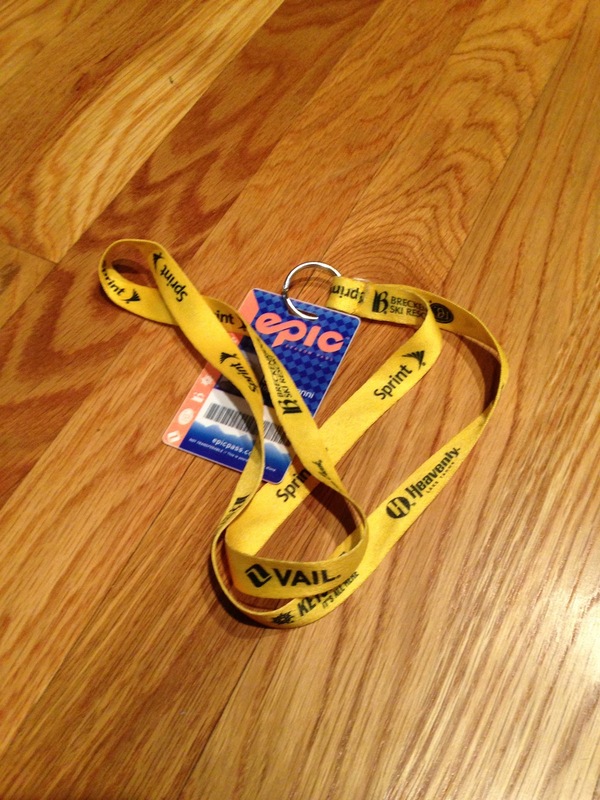 Why buy it: Before you squawk at the price of this Ski Utah pass, keep reading. This pass could be one of the most unique on the market because you're not paying $3,700 for you, and only you, to ski at every Utah resort (there are 14) for 50 days each. You're paying for the flexibility to be able to share this pass with friends and family provided you don't go over the allotted 50 days at each resort. You also get Fast Track access at Park City Mountain Resort and summer access to those resorts that offer mountain biking, hiking and sightseeing when the snow melts. Deadline for this price: For starters, there's a wait list that started on Nov. 1, 2012 to save these specials passes for next season. And the 2012-2013 passes sold out. But that doesn't mean you're completely out of luck, worst case scenario is you'll be turned down when you send an email to justin@skiutah.com. Why buy it: You've heard that Lake Tahoe's views from the west are some of the best. Now you can see for yourself by skiing Homewood all next season. This season pass offers unlimited skiing and no blackout dates at the only ski resort on the West Shore of Lake Tahoe--and your pass scores you discounts on retail, food and rentals plus you can ski five days at Whitefish and unlimited days at Red Lodge. Why buy it: If you're a Tahoe regular, you almost have to ask yourself, "What don't I get with this pass?" Buy early and gain spring skiing access (2013-2014 pass holders got free spring skiing in 2013). Take your pick between skiing Squaw Valley, Alpine Meadows or Sierra-at-Tahoe. Get two free tickets to Whistler Blackcomb, and score 50 percent off lift tickets when you've used those two freebies. That 50 percent deal also applies to lift tickets to Alta | Snowbird, Aspen | Snowmass, Jackson Hole and Mammoth Mountain. Oh yeah, eight friends and family members get lift ticket discounts too. Why buy it: If you want a lot of acreage to ski, you'll find it at Big Sky. And chances are you're going to get to ski a majority of it without crazy crowds--the Montana resort hardly ever gets them. This pass grants you unlimited access to 3,832 acres, discounts on lessons and select lodging, and 10 days of skiing at any of the other resorts in the Boyne Resorts family, which has locations from Washington to Maine. For more season pass information, check with your favorite ski resort to see what they're offering for next season. What season passes would you add to this list?